More than 80% of the people in America experience magnesium deficiency. Since magnesium is an essential mineral for numerous biochemical functions and reactions in the body, this is really something to worry about. Helps in the digestion of carbs, proteins and fat. Transporter of vitamins and minerals including calcium, Vitamin K and Vitamin D.
Activator of muscles and nerves. What is the Reason for Magnesium Deficiency? The modern farming techniques that actually include fertilizers, insecticides and chemical pesticides that drain magnesium from the soil is one of the greatest reasons for this issue. Some medical conditions do not allow the body to absorb magnesium. How to Increase the Intake of This Essential Mineral? Magnesium supplements, Epsom salt baths and the consumption of foods rich in magnesium ate the best ways to increase the intake of magnesium. 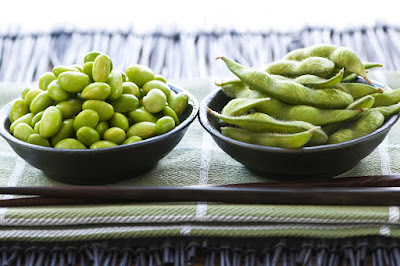 Soybean – ½ cup of soybean gives half of the recommended daily dose. Avocado – 15% of the recommended daily intake.